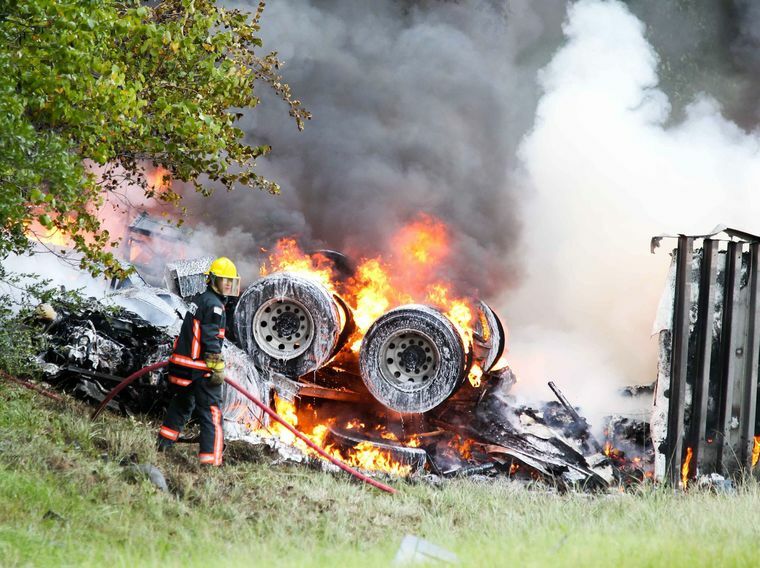 At least two people are dead when a tractor trailer slammed into two cars on US Highway 59 near Lufkin TX on Aug. 9. According to the Texas Department of Public Safety, the tractor trailer was going north on US 59 when it crossed the median and slammed into two cars driving southbound. Police stated that the investigation was continuing this week and the names of the victims still had not been released. The two drivers of the cars were killed upon impact, and the truck driver is in serious condition. From the description of this fatal truck crash in Texas, it could be that the truck driver was fatigued or distracted, causing the deadly wreck. The FMCSA states that 750 people are killed every year from tired truck drivers, and 20,000 more are injured. Why does this keep happening? Even though there are strict hours of service rules for truck drivers limiting how many hours per week they can drive, remember that most truckers are paid per mile. There always will be incentive for truck drivers to push the limits and drive when they are tired. Also, many truck drivers drive at night. No matter how many years a trucker has driven at night, the human body is meant to sleep at night, and driving at night often leads to drivers falling asleep at the wheel. If you have been hurt or had a loved one killed by a possibly fatigued truck driver, you do have legal options that can lead to a major financial settlement. That will not bring back your loved one, but financial damages from a truck crash civil lawsuit can help you to put your life back together.